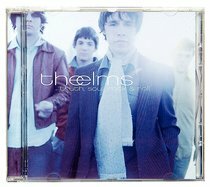 Drawing on the same musical influences as The Strokes and The Vines, The Elms deliver God's message of hope and love through perfectly crafted rock songs. Currently on tour with rock legend, Peter Frampton, they offer old style rock and roll in a 60s/70s style, complete with high octane energy and windmill strums. About "Truth Soul Rock and Roll"